In 1922 Loughborough College Principal Herbert Schofield announced that he had secured a grant from the Carnegie UK Trust to set up a county-wide library service with its headquarters at the College. The College Registrar and the Head of the Department Extra Mural Adult Education were designated as honorary librarians. 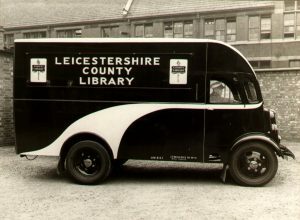 The Leicestershire County Rural Library aimed to provide a circulating library, initially of 10,000 books, to serve the rural areas of the county. Boxes of books would be sent out from the College to local centres like schools and village clubs, and to adult education classes and centres like the YMCA. The College motor van would be used to deliver to thirty centres in a day. 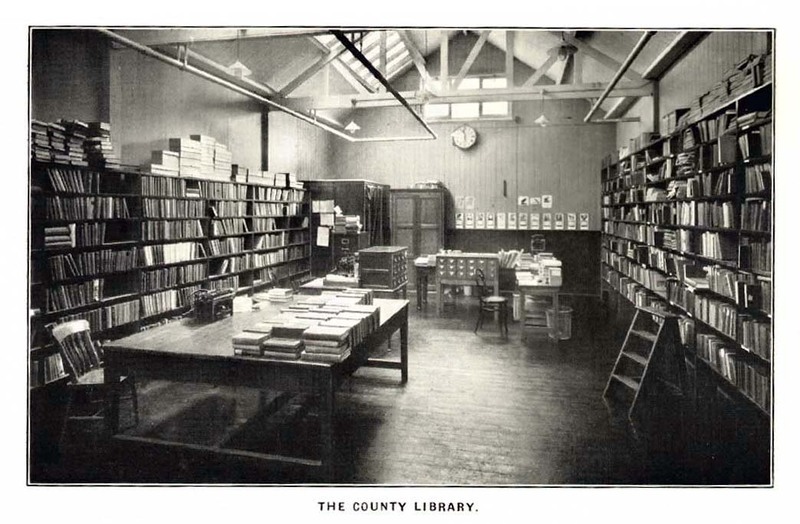 The County Rural Library opened in March 1923 and supplied around 150 centres with books in its first full year, but although the stock was by then over 10,000 volumes and growing, it was ‘far from adequate to meet the needs of a large county’. The report continued: ‘the main demand is for fiction of a rather popular kind, not too fatiguing to the intelligence and somewhat soporific in influence. On the other hand there is a gratifying demand for literature in a great variety of fields.’ Fourteen adult classes had benefited from receiving books and ‘the method of distribution by motor van from Loughborough College has worked out fairly satisfactory, and in point of cost is the cheapest in the kingdom.’ In 1925 the first Sub-Library was opened at Oadby and by 1929 branch libraries had also been established at Hinckley, Melton Mowbray and Ashby de la Zouch. 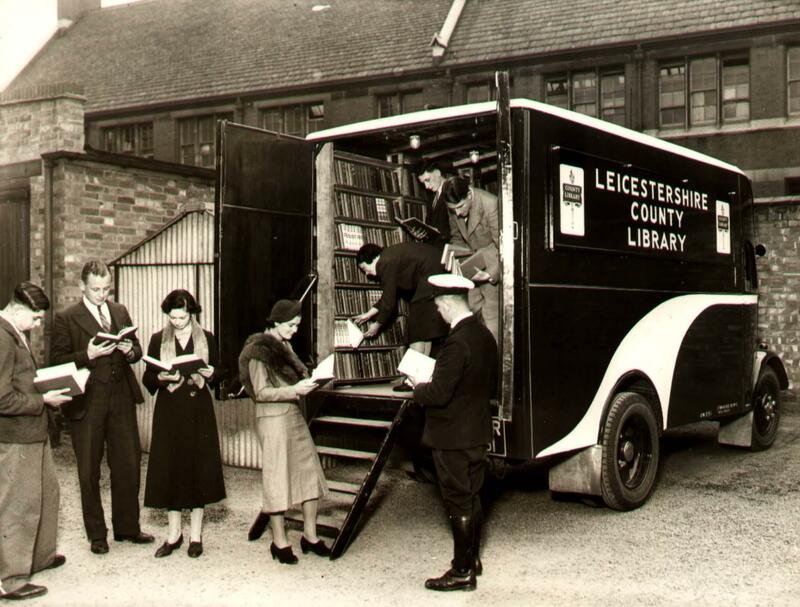 In 1926 the County and the City of Leicester combined to inaugurate a regional library scheme for Leicestershire. The object of this was that Leicestershire should be a single unit for book supply and library work. This ‘will mark a new era in Library work’, commented the College Calendar. A new Morris delivery van was also acquired. It carried on its side the name of the College Works Manager, J F Driver, and sported gleaming paintwork, with what we might call today a ‘go faster stripe’. It was kitted out with fitted shelves, in all likelihood made in the College workshops, and had a uniformed driver with AA patrolman-style knee-high boots. Deliveries of books were made three times a year to all Library centres working under the scheme. 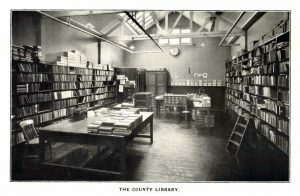 A county rate was levied to provide funds in 1927 and a full time County Librarian and a special assistant were appointed to catalogue the whole of the library stock. The resulting card catalogue was kept at Library HQ at Loughborough College. 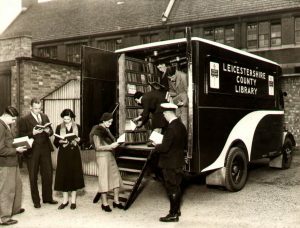 By 1929 the word ‘Rural’ had been dropped from the Library’s title and it was known simply as the ‘Leicestershire County Library’. The book store and office, it was reported, had now been rehoused in ‘a suite of rooms specially designed for library work’ (actually one of the huts off Frederick Street), from which the library van was able to collect consignments of books direct. This arrangement continued until the College needed the space for the expanding aeronautical and automobile engineering workshops and in 1935 the County Library HQ, its Librarian, and his three assistants departed Loughborough for more spacious quarters in New Street, Leicester. The van’s shelves were made by Loughborough College students.